Bride to be Ellie donated hair for big day! 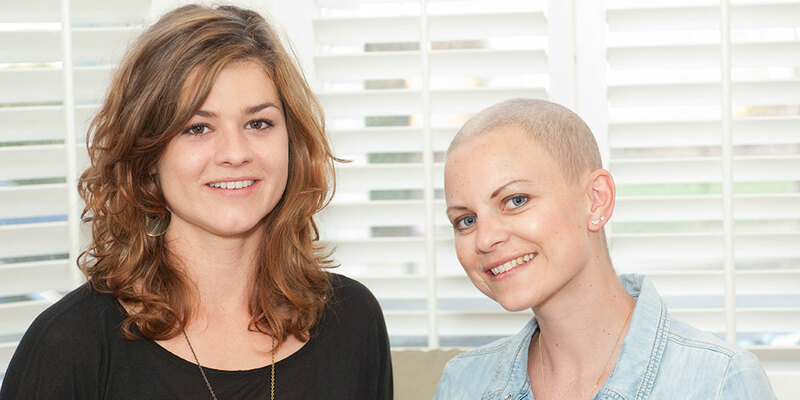 Ellie Jeffery, a 29 year old cancer sufferer who has inspired so many through her blog writtenoff.net will walk down the aisle for her wedding with a full head of hair, after her best friend donated her own locks for a made-to-measure wig. Writtenoff.netwhich is so eloquently and movingly written by Ellie has attracted interest from far and wide, including from comedian and author Stephen Fry. The blog details the exceptional support she has gained from 'Professor Hope', an alias for Professor Justin Stebbing who leads the cancer drug discovery programmes that Action Against Cancer supports. Reading the comments on the blog it is clear that Ellie has inspired many others going through a similar experience, demonstrating how it is possible to remain positive in the face of adversity. One person that Ellie has certainly inspired is her best friend Miffy Grubb. Ellie lost her hair after chemotherapy but Miffy has just taken part in a sponsored head shave of her 'long(ish) wavy wild hair'. Her hair will be made in to a wig for Ellie to wear for her wedding to her adoring fiancÃ© Tom Thostrup. Ellie was told last year that she had only months to live but she has defied the odds and has now set a date in June for her wedding to Tom. Miffy said: â€œIt was surprisingly fun having my head shaved. It took longer than I thought because we had to preserve the hair so I couldn't just go for it. It was cut off in small sections. I was prepared for having a shaved head! "I got a warm hat to wear." Ellie described Miffy's gesture as "massively brave and generous" and everyone at Action Against Cancer agrees wholeheartedly. Thank you Ellie and Miffy! To Donate to Ellie and Miffy's fundraising page click here.